The Harami Candlestick charting pattern can be a bullish or bearish reversal pattern. the second real body can be the same color of the first real body. The second day should be a white day (but doesn't have to be white) where the real body is completely engulfed by the real body of the first. Higher volume on this day is more powerful. After a long black day at the low end of a downtrend, a white candlestick opens higher than the previous day’s close. The price is driven up, as many shorts are covered, which encourages further buy-ins. If the second day is a doji, the pattern would be known as a Harami-Cross candlestick pattern, and is more potent of a signal. The-Harami indicator should be confirmed with the next trading day’s candlestick following the reversal trend. The Harami pattern is also the first two days of the Three Inside Up pattern. This pattern is a more reliable addition to the standard-Harami-pattern. The third day is confirmation of the bullish trend reversal. The second day is a black day (but doesn't have to be black)that is completely engulfed by the real body of the first day. Higher volume on this day is more powerful. After a long white day at the high end of an uptrend, a black candlestick opens lower than the previous day’s close. Trading is typically light and the day ends with a close lower than the open and within body of the first day; a signal that the current uptrend is losing strength. If the second day is a doji, the pattern would be known as a-Harami-Cross candlestick pattern and is more potent of a signal. If you see this pattern after an uptrend, beware!! The-Harami pattern is also the first two days of the Three Inside Downpattern. The-Harami formation is comparable to the Western stock chart pattern named the Inside Day. This pattern is a more reliable addition to the standard-Harami pattern. The third day is confirmation of the bearish trend reversal. 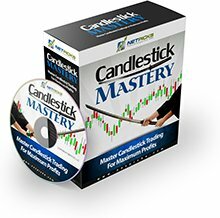 Return from "The-Harami Candlestick" to the Home Page "Stock Market For Beginners"